The cleanup in collaboration with Konterra turned out over 110 volunteers (30 more than last year) and we were able to more than double the amount of tires pulled (over 200 vs. 80 last year). Although a lot of litter was found in the areas that were cleaned last year, we were able to move further along the creek and adress areas not covered last year. Tires and large items were transported out with the help of an ATV and items were pulled with a winch that was brought in along the bank of the creek. Many thanks to the organizers and workers of Konterra, ATK Space Systems and other companies that came to the Indian Creek site for Earth Day 2010. The Anacostia River in D.C. looks bad - not nearly as bad as the Manila River in the example above. Although many rivers and streams look OK in our region thay are far from fishable (i.e. it is not safe to eat the fish caught). Water carries chemicals and fertilizers and a lot of litter is washied in from parking lots and streets. 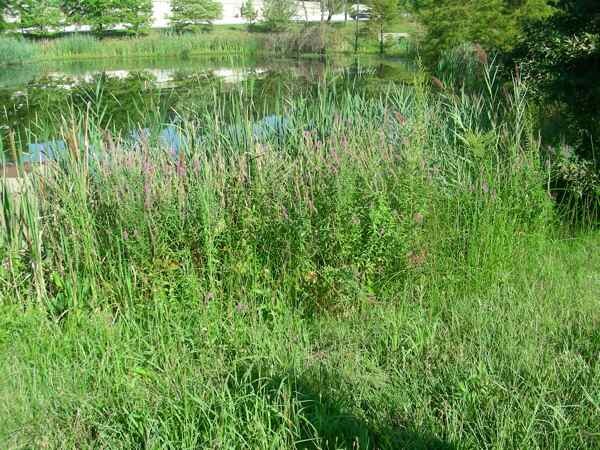 Update on Purple Loosestrife (Aug. 2009): Maryland DNR terminated the eradication program for Purple Loosestrife and other invasives along roads due to lack of funding. We wrote letters to support stronger language to be included in the 10-year Waste Management Plan of Prince George's County. The plan explicitly requires Sun Services to have their proposed building material recycling center on Somerset Avenue in Beltsville to be LEED-certified. 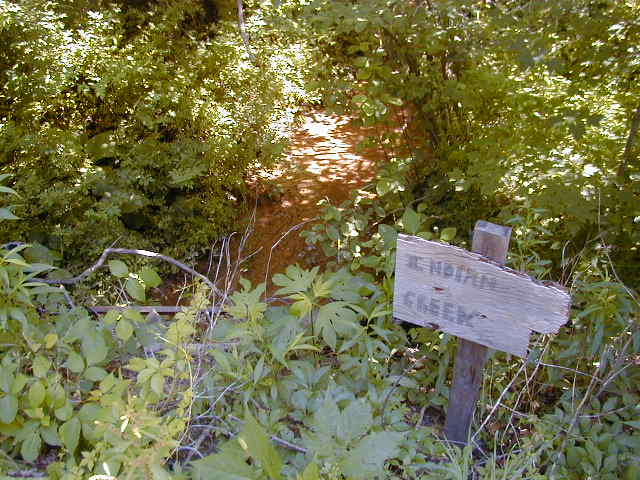 A tour of the upper watershed of Indian Creek was conducted. We visites stream crossings at Odell Road, Ammendale Road and drove aound the perimeter of the Konterra Town Center East site. Downstream of the ICC construction, we visited a reach of the stream where changing hydrology affects trees in the flood plain area of the creek. This time, Purple Loosestrife was observed at a storm water pond at Greenbelt Road and Kenilworth Avenue. This is not the only location where the plant is seen, it is also found along East-West Highway and on Hanover Parkway near Schrom Hills Park in the Still Creek watershed. Three of us, Michele (behind the camera), Vicky and Lutz, went out and removed part of the blooming plants. The effort took about 2 hours and covered about 1/6 of the pond's circumference. The occurrence of the plant has been reported to the Maryland Department of Natural Resources. Harriette Phelps gave a presentation at the Anacostia Watershed Society on her 2008 biomonitoring research results on PCB, PAH, Chlordane and other organic compounds in streams in the Anacostia watershed. Indian Creek in Beltsville shows high contamination from parking lot runoffs and in the Sligo Creek and Still Creek watersheds, Chlordane, a pesticide banned in the 1980s, was found. Her 2008 research can be found on her Recent Publications page. In the Novenber 2009 Chesapeake Bay Journal, her work is featured. Last Update: February 11, 2011 (Lutz Rastätter).